In spring or summer it is pleasant to walk on the Cité island in the heart of Paris along the quays or in the streets of the neighborhood. Come discover the key places of this island. Here is also a brief summary of the history of this island. The island of the Cité is the heart of Paris. This is where the first nucleus of Lutetia was developed. The first inhabitants are fishermen of the Gallic tribe Parisii. In Gallo-Roman times the island is surrounded by ramparts and a forum is built on the island. 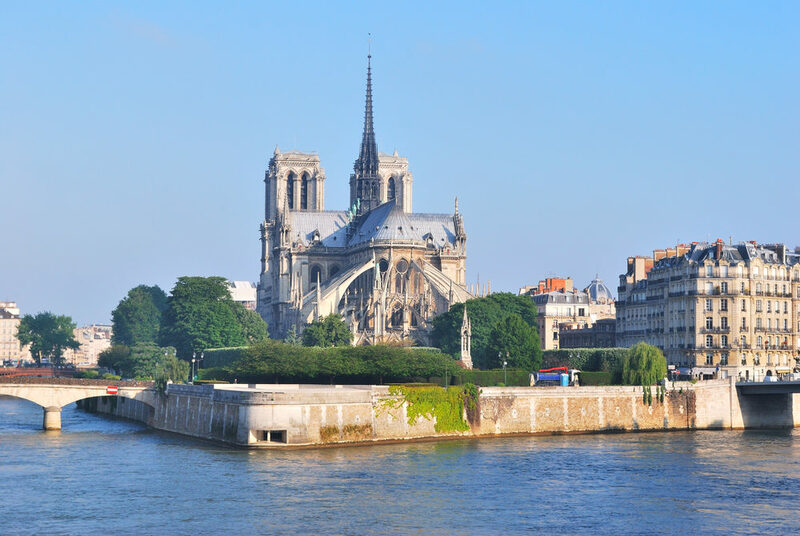 It is in the 13th century that Maurice de Sully built the famous cathedral, Notre Dame de Paris. During the French Revolution, the former Royal Palace was transformed into a Palace of Justice (the same as currently found on the island). Until the end of the 18th century the island had about 15000 inhabitants and included 4 chapels and about twenty churches. In the 19th century, the island was redeveloped by the Haussmann style of the time and the narrow streets near the cathedral are enlarged. It takes about half an hour to tour the island of the Cité by taking the docks but about 1 day to visit all the monuments of the island. You can finish your visit by passing in front of the two key institutions of the island: the Prefecture of Police and the Quai des Orfèvres. A walk on the docks in spring or summer is also a good time.